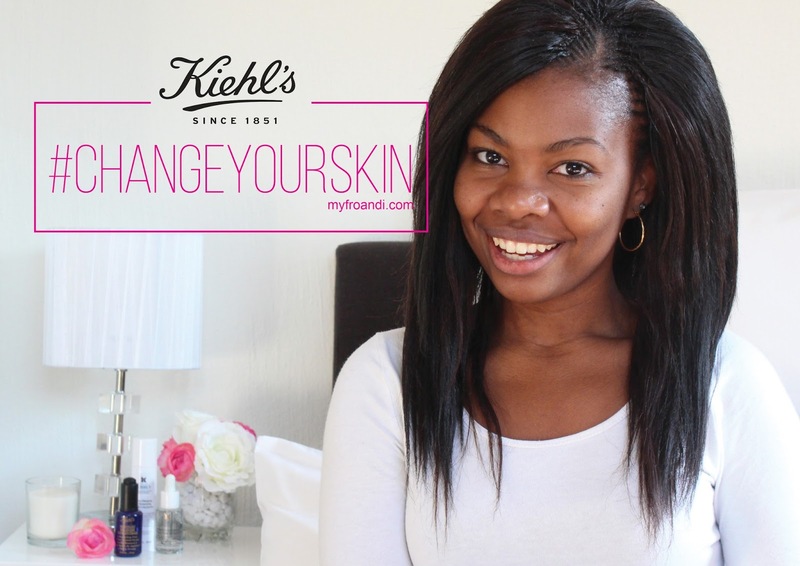 Last month, Kiehl’s and BeautyBulletin invited me to take on their #ChangeYourSkin challenge, promising to change my skin in just 28 days. For 28 days straight, I used their aptly named super serums: Midnight Recovery Concentrate (R665), Dermatologist Solutions Clearly Corrective Dark Sport Solution (R665) and Dermatologist Solutions Hydro-Plumping Re-Texturising Serum Concentrate (R675) and have been documenting my updates with you weekly. Here are my final thoughts and results. My routine: Every morning, I applied the Dermatologist Solutions Hydro-Plumping Re-Texturising Serum Concentrate followed by Dermatologist Solutions Clearly Corrective Dark Sport Solution. In the evenings, before I slept, I cleaned my face with my usual cleanser then applied Dermatologist Solutions Hydro-Plumping Re-Texturising Serum Concentrate followed by Dermatologist Solutions Clearly Corrective Dark Sport Solution finishing off with Midnight Recovery Concentrate. For more details on each of serum and its ingredients, click here. For 28 days, I’m really impressed with the changes I’ve been seeing on my skin. As my first weekly update mentioned, I noticed a difference almost straight away in my skin’s hydration and softness. I continued waking up feeling more refreshed with my face looking less fatigued. 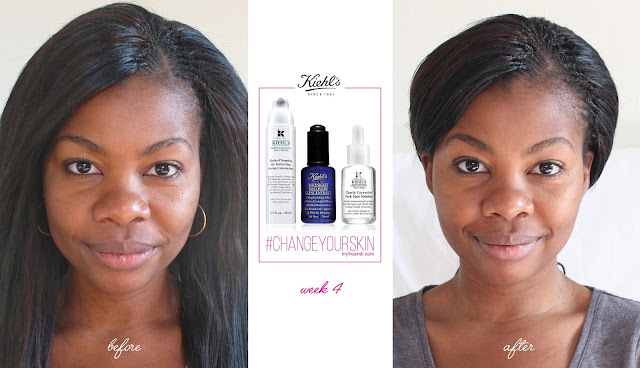 For the first couple of weeks I didn’t see much difference when it came to my discolouration and hyperpigmentation. I used to use the Dark Spot Solution everywhere, including my lips hoping to decrease the appearance of my marks there but I stopped using this serum on my lips last week after Kiehl’s Head of Education advised against it. 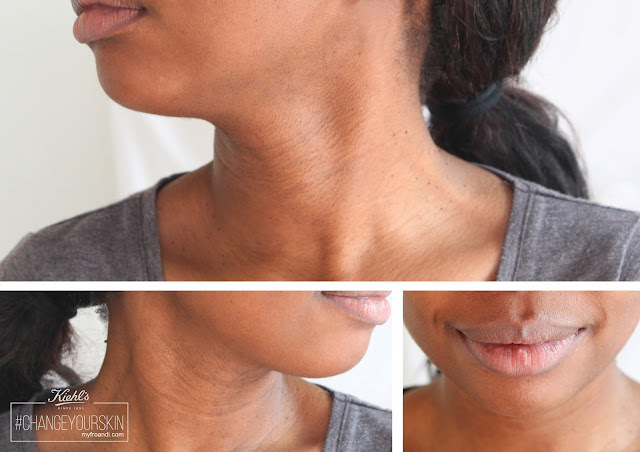 Last week I mentioned I wasn’t completely sure there was a difference to the marks on my neck but now I can see they’re slowly fading. I wasn’t expecting a miracle and for them all to disappear so I’m very chuffed that there’s a noticeable difference. So I’m going to keep at it. I also reduced the amount of Hydro-Plumping Concentrate I applied by about half as my skin was getting quite shiny during the day. That’s worked much better for me, with me blotting less and my skin not having any flakiness whatsoever. The Midnight Recovery Concentrate is just awesome. It helps in a better night’s sleep as well. Needless to say, I’m a happy chappy. These products are remaining in my beauty stash and routine – they’re worth every rand. Thanks for following my challenge! I hope this has helped you on your own journey to better skin. For more reviews from fellow bloggers and Beauty Bulletin influencers, check them out here. I can also see the changes, you look great. I know its winter in SA right now, but I think it would have been best to also add a product with sunscreen to your routine, some of these products make our skin more sensitive. Oh wow! I actually can see the changes! This seems like such a great product!